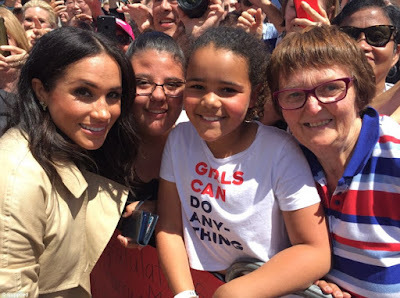 Prince Harry broke royal protocol by taking a photograph of Meghan with a young fan in Sydney – after the Duchess noticed how much the girl looked like her. 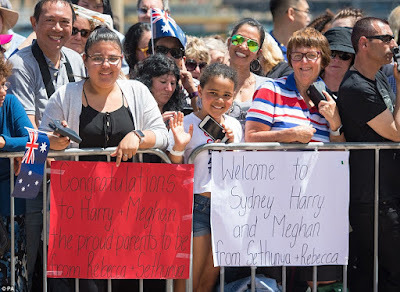 The Duke of Sussex, 34, was seen calling over his wife after he spotted Sethunya Gibbons, nine, in the crowd during a walkabout by the Sydney Opera House on Tuesday, asking her ‘Do you want to meet my wife?’Harry can then be heard asking the girl, ‘Do you want me to take a picture of you two together?’, with the youngster nodding enthusiastically in response. Meghan then noted the Sethunya’s ‘Girls can do anything’ top, telling the youngster ‘I love your shirt’. 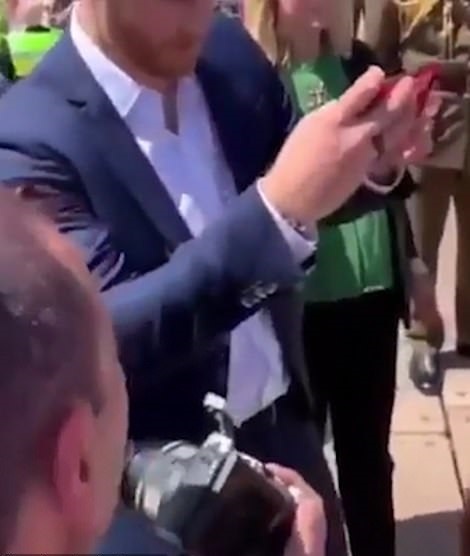 Royal fans have been gushing over the ‘sweet’ moment, after footage of the exchange was shared on social media.